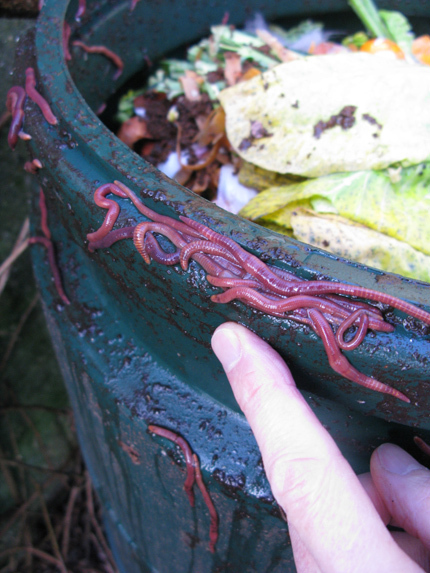 Do compost worms migrate in winter? But every year around the same time, something amazing happens in my two ‘Dalek’ compost bins. Charles Darwin reckoned that worms are some of the most important creatures on the planet, turning organic material into high-value plant food and aerating the soil with their subterranean activity. He spent years observing them, and wrote an important book on the subject. My own studies have been restricted to using them as fishing bait when I was younger; and I know they are food for birds and other wildlife. I also know that certain types – the so-called ‘Tiger’ worm, Eisenia fetida – quickly change the vegetable waste in my ‘Dalek’ compost bin into fabulous rich soil-conditioner. But here’s a strange thing. In winter, just when you’d have thought worms would benefit most from the warmth generated by decomposing veg waste, the little blighters in my bin attempt mass suicide. Like lemmings they wriggle (do lemmings wriggle? Perhaps not) over the top edge of the bin, down behind the lip of the lid, and out into the cold air. On nights when the temperature dips below freezing, they’re all a-gonner. If my memory serves me right, this species of worm can’t survive out in the open garden soil, either. So why this ‘charge of the light brigade’? Did I put something in the bin they don’t like? 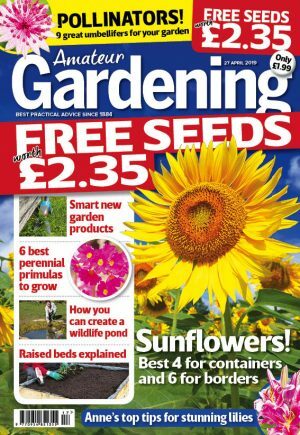 Sally, our Features Editor, answered a reader’s query on the subject in Q&A, offering the generally accepted reason that the worms are escaping excess heat generated by the decomposing matter. But it never happens in summer in my bins, only in winter, and it happens regular as clockwork, year after year. Surf the internet and you’ll find lots of pet theories as to why it happens, but on my digital travells I still haven’t come across any definitive research that explains the phenomenon. Neither have I found the answer in Darwin’s The Formation of Vegetable Moulds Through The Action of Worms. But that’s probably because they didn’t sell plastic Dalek compost bins in 1881. Any serious ideas, anyone? The food waste I compost in the Daleks does not change significantly throughout the year – no sudden high volumes of fruit etc. There’s a good mix of material going in, and I adjust wetness and dryness as necessary. My only conclusion is that it’s a seasonal behavioural phenomenon.